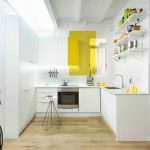 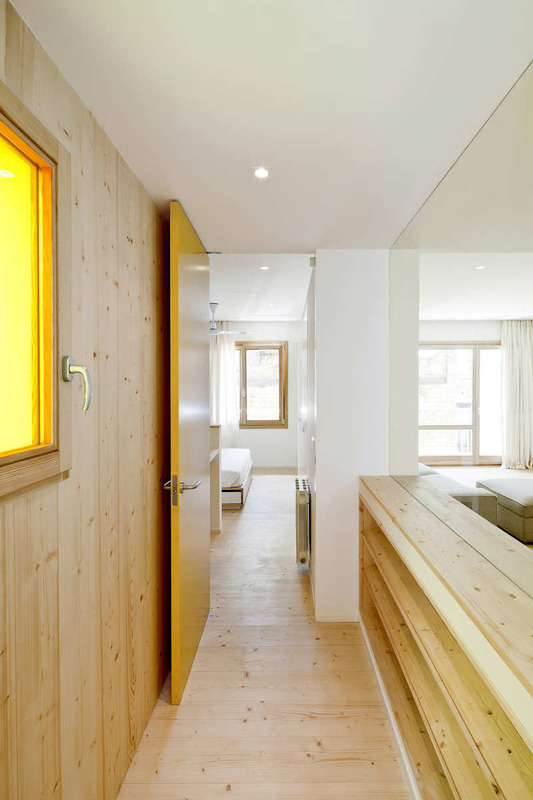 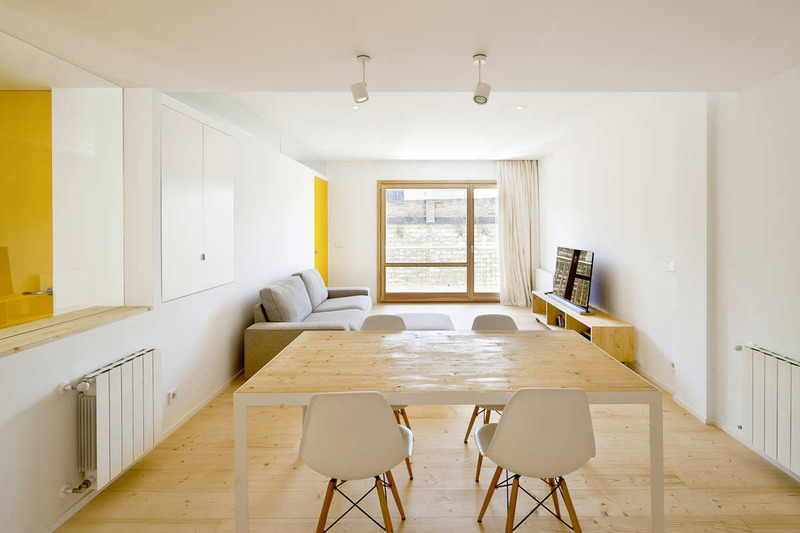 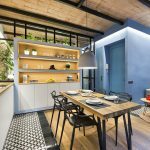 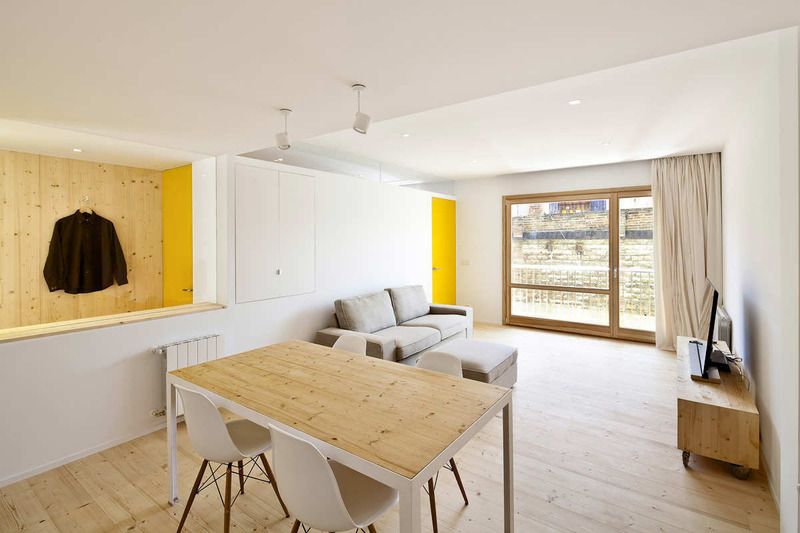 Pine and the colour yellow are used for the floors and some of the walls to form the main visual flow of this modern apartment in Barcelona, Spain. 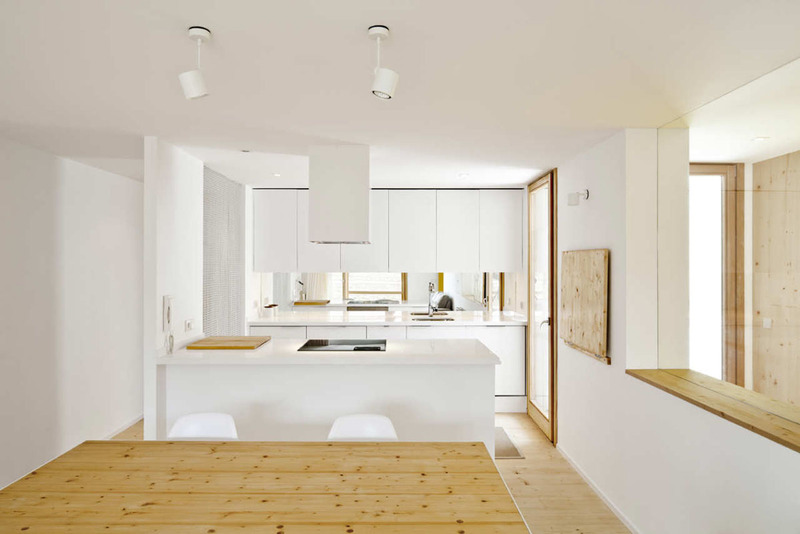 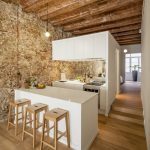 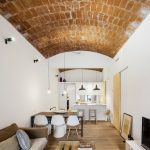 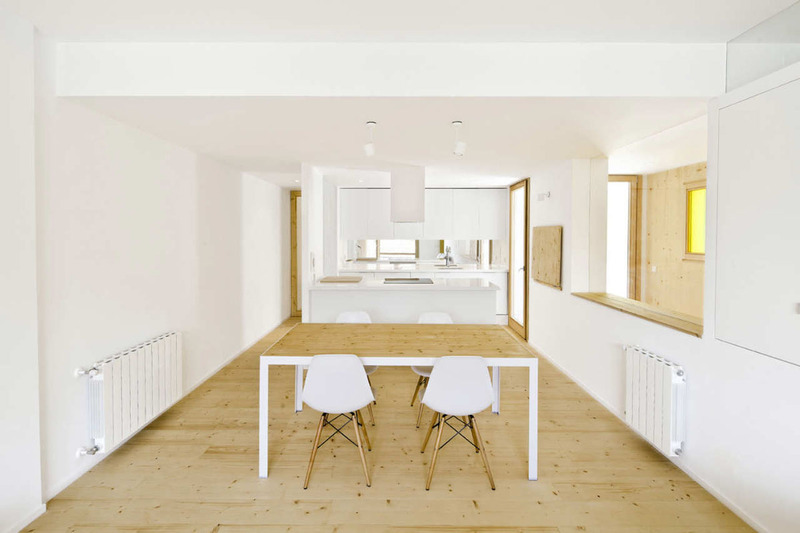 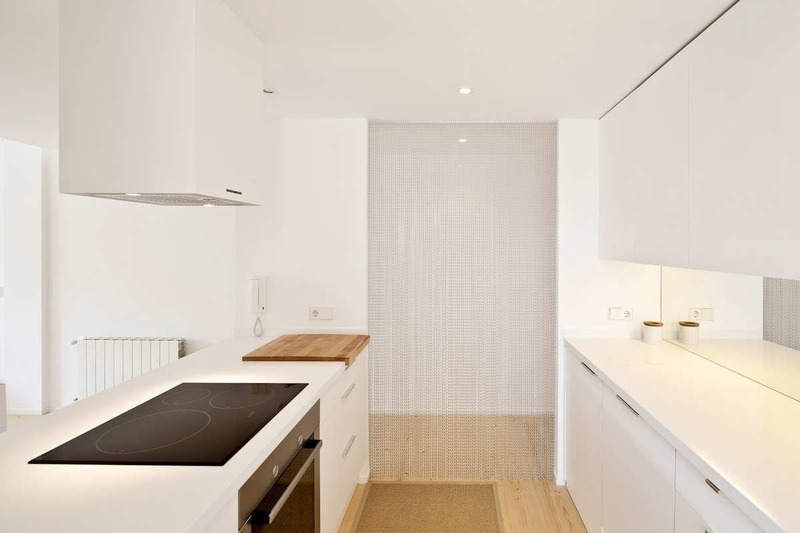 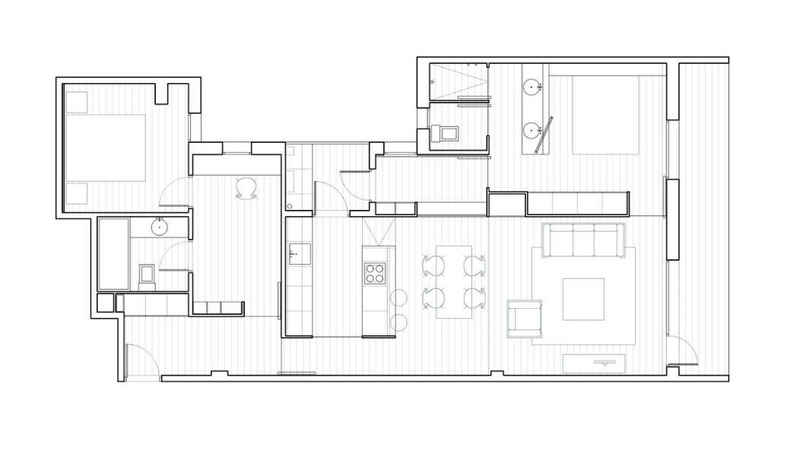 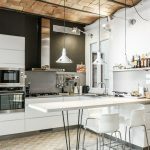 Designed by Sergi Pons Architects, the project sets out to alter and improve an apartment situated facing away from the road in a 1980’s building on carrer Casanova. 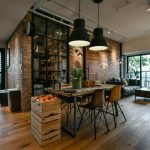 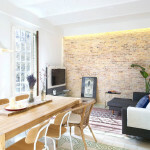 Functional objects, such as folding tables, hangers and portable mirrors are also used as decor for this urban refuge.